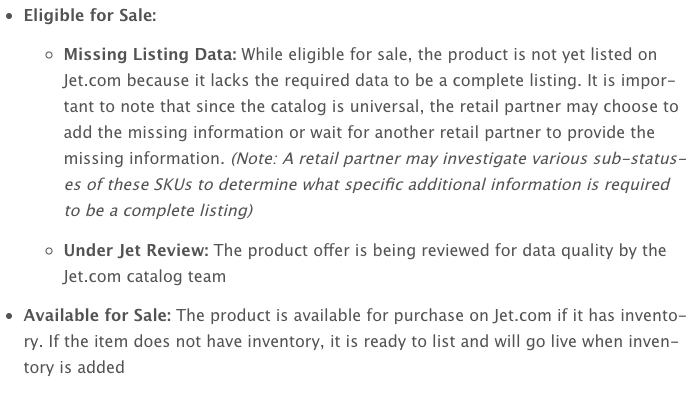 On some of your Jet SKUs you may see the status "Under Jet Review". 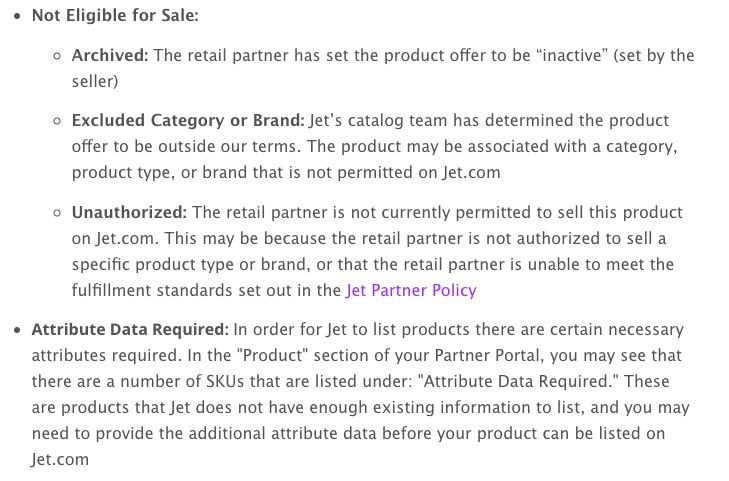 This is because Jet reviews each and every SKU before setting them live. Their process can be extremely slow and so this article will first explain direct you on how to get more SKUs published. To skip to steps on how to get SKUs published please scroll down. Ensure Prices are Competitive - Use the Jet Insights tool to assist you.